If you’re going to sell your house in the next six months, what you do right now could mean a difference of thousands of dollars – especially if you’re buying another home. We can help you sell your house for top dollar in less than 60 days, and we’d like to send you a free Report of How Much Your Home is Worth and a copy of our book for home sellers, How to Sell Your House for Top Dollar – FAST! If you are thinking of buying, just tell us a little about the kind of homes you’re most interested in, the price range and the areas you’re considering, and we’ll get you all the information you need. "Carlos is a great person to work with, he help me with the entire experience. He has a lot of experience in this field. He was always there when I ... more "
"Carlos did an awesome job representing me in my recent quest for a home. 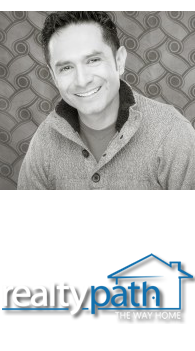 His knowledge of the process was impressive and I was really pleased with him ... more "
"Carlos Nelson is a terrific Real Estate Agent, who will go above and beyond to guide you through one of the most difficult, yet exciting processes of ... more "